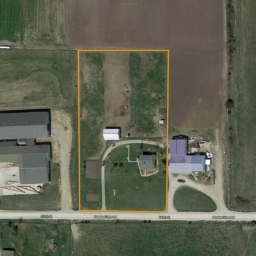 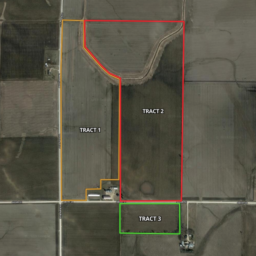 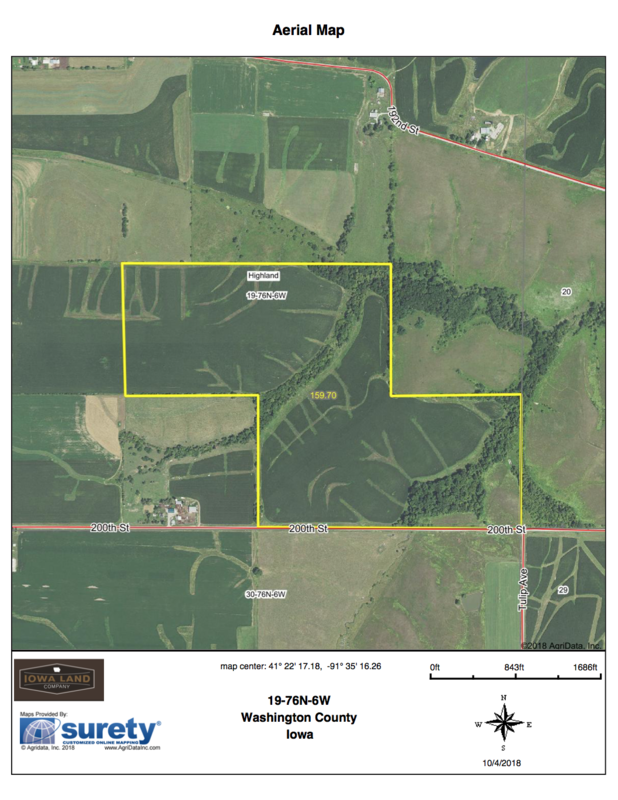 Iowa Land Company is honored to bring to market a high-quality farm located 9 miles Northeast of Washington, Iowa. 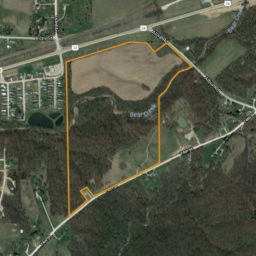 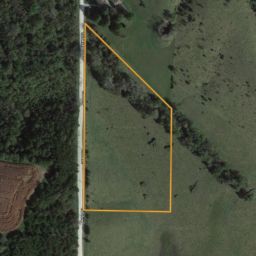 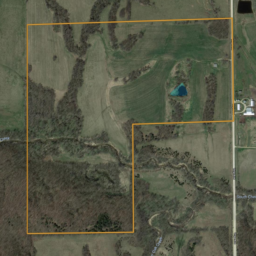 This 158 +/- acre farm is 89% income producing acres. 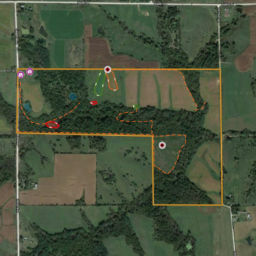 The farm consists of 113.51 tillable acres and 27.45 CRP acres. 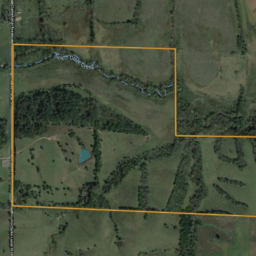 The CRP acres are broken down into 5 different CRP contracts. 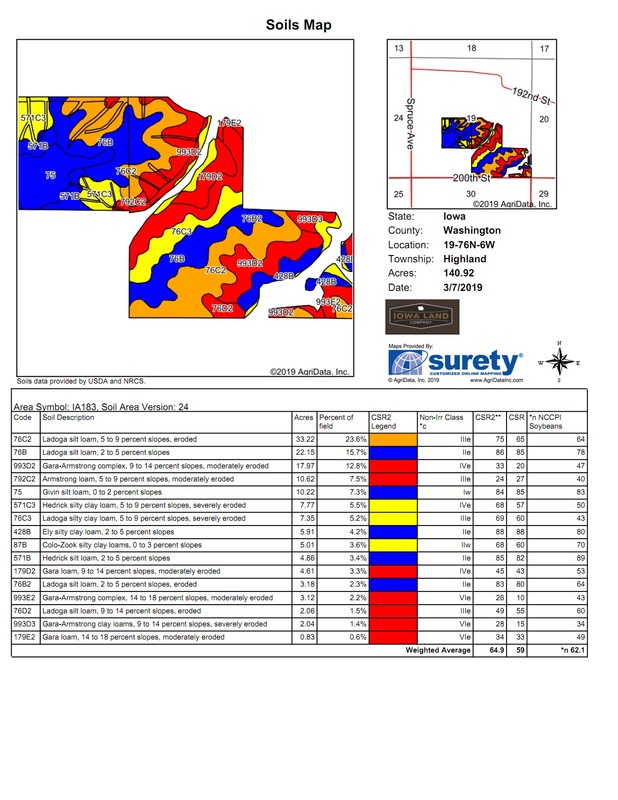 The numbers for those CRP contracts are below. 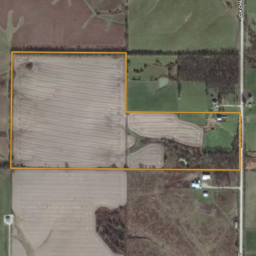 The farm is rented for the 2019 growing season. 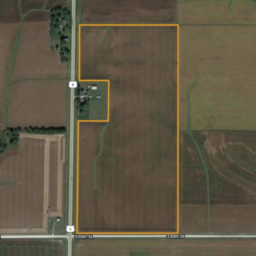 The tillable acres are cash rented for $220.00 per acre for a total cash rent income of $24,936. 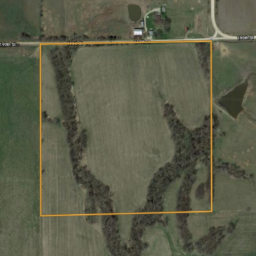 The CRP acres add an additional $5,952 in income annually. 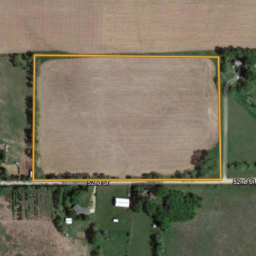 There is a legal right away that gives access from the west of Spruce Ave. 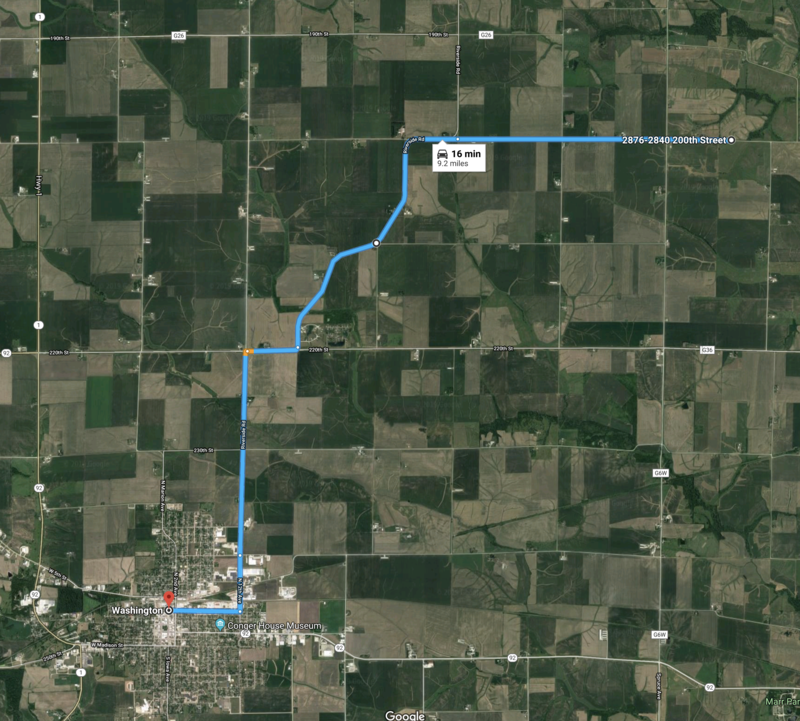 There is also access from the south off gravel road 200th Street. 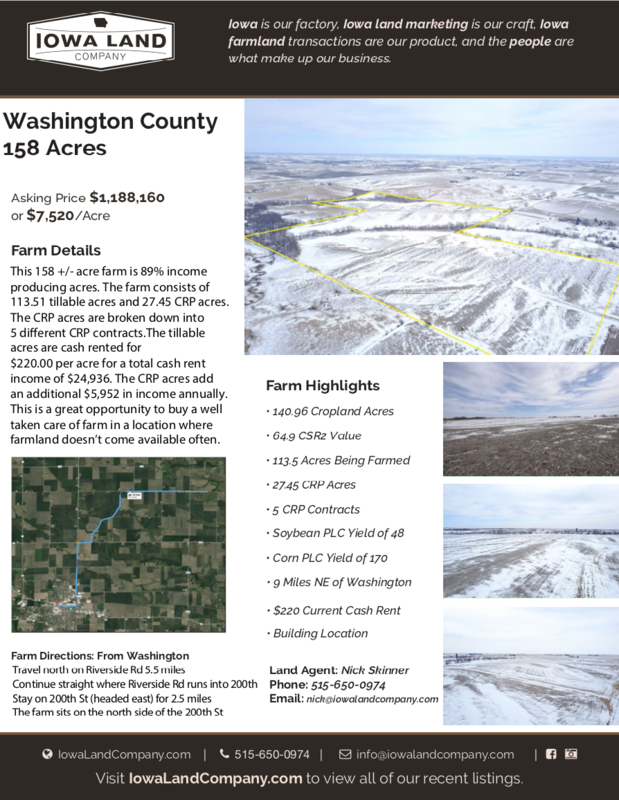 This is a great opportunity to buy a well taken care of farm in a location where farmland doesn’t come available often. 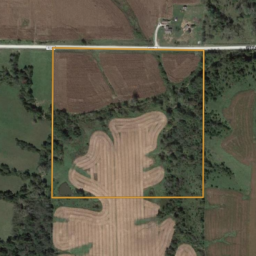 For more information or for a private showing contact Land Agent Nick Skinner at 515-650-0974 or Cody Skinner at 515-443-6343 today. 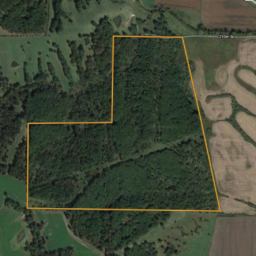 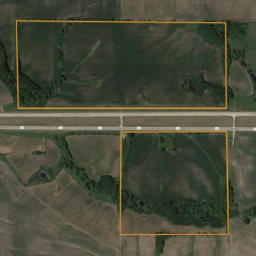 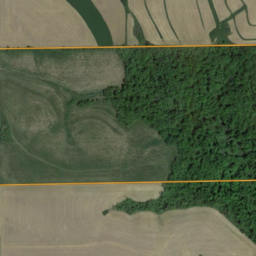 158 +/- acres located in Washington County, Iowa; Highland Township, Section 19. 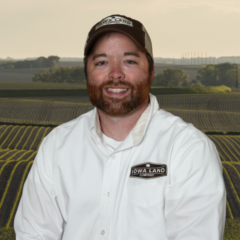 Exact legal will come from the deed. 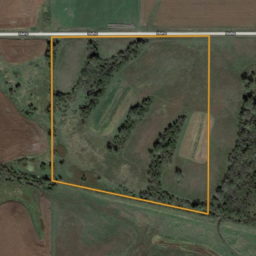 © Iowa Land Company Real Estate LLC. 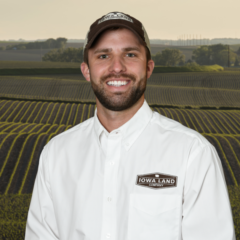 Licensed in Iowa.